Cinematic history is crammed with films in which, at one moment or another, someone talks about wine, shops for wine, or actually drinks wine — or in the case of the Creature in Young Frankenstein , just tries to drink wine (“A toast . . . to a long friendship!” Crash!). From The Silence of the Lambs (“I ate his liver with some fava beans and a nice Chianti”) to Sideways , in which Miles and Maya engage in the world’s sexiest wine chat (“A bottle of wine is actually alive!”), movies often find clever ways to serve up a glass or two of celluloid vino. But there aren’t that many movies out there about the people who make that wine—the growers and vineyard managers and winemakers who turn grapes into greatness. Jason Wise’s documentary Somm screens May 14 in Wine Enthusiast’s “Wine & Film” series. This May, Wine Enthusiast magazine is teaming up with Marin County’s Christopher B. Smith Rafael Film Center for a new “Wine & Film” series. Each Thursday, a different wine-themed movie—two docs and two feature films—will be paired with winemakers, filmmakers and other special guests. The films in this inaugural run of the series all focus on aspects of the production of wine, some poking fun at the excesses of foodie-wine culture, others taking viewers behind the scenes into a world few ever get to see. And following each screening and Q&A, a tailor-made wine tasting will take place. May 7—Randall Miller’s 2008 Bottle Shock, with wine judges Michael Hantman and Dr. Valery Uhl, in conversation with Wine Enthusiast editor Virginie Boone, followed by wine tasting. 7 p.m. This unassuming charmer popped up from out of nowhere in 2008, instantly becoming a cult favorite. Filmed in Napa and Sonoma County, the based-on-a-true-story comedy-drama features Alan Rickman, Chris Pine, Bill Pullman and the late, great Dennis Farina. The film recreates the famous events of the 1976 Paris Tastings competition, in which a struggling Napa winemaker beat the odds—and a whole lot of European wineries — to take the title of best wine in a blind tasting that went on to be called the “Judgment in Paris.” It was the moment that put California wine country on the international map, and is a classic David-and-Goliath story, with gorgeous scenery and some breakout performances. Alan Rickman (Sense and Sensibility , Truly, Madly, Deeply, Galaxy Quest ) plays Stephen Spurrier, a stuffy British wine-seller who, while visiting California, hatches the wild idea of putting a California wine up against centuries of traditional winemaking, sparking an international uproar in the process. Bill Pullman (Independence Day , Lost Highway ) and Chris Pine (Star Trek , Into the Woods ) play the father-and-son winemakers who Spurrier targets as having the best chance of competing against the greatest winemakers in Europe. The “Wine & Film” screening will feature a discussion with Michael Hantman and Dr. Valery Uhl, both longtime judges at the San Francisco International Wine Competition. May 14—Jason Wise’s 2012 Somm, with master sommelier Geoff Kruth, in conversation with Wine Enthusiast editor Jim Gordon, and post-show wine tasting. This unexpectedly funny and eye-popping documentary follows four different sommeliers as they attempt to pass the grueling Master Sommelier exam, offered by the somewhat mysterious Court of Master Sommeliers in England. The brutally difficult test has one of the lowest pass rates of any similar exam in the world. Amongst the real-life wine tasters featured are Bo Barrett (Chris Pine played him in the aforementioned Bottle Shock ) and Geoff Kruth, who will be appearing to discuss the secret world behind this most prestigious and hard-to-beat of wine-tasting tests. May 21—David Kennard’s 2014 A Year in Champagne, with film subject Martine Saunier, in conversation with Wine Enthusiast editor Virginie Boone, and post-show wine tasting. In the second in a trilogy of films that began with 2013’s A Year in Burgundy , documentarian David Kennard (Carl Sagan’s Cosmos ) joins up with renowned wine expert Martine Saunier for A Year in Champagne . The region of France that gives its name to Champagne is beautiful but hard, and in 2012, apocalyptic weather patterns threatened the futures of a number of Champagne producers, large and small. With Saunier as guide, this riveting adventure in real-life winemaking will give audiences a new appreciation for the resilience, creativity, and plain old hard work that goes into creating some of the world’s most celebrated libations. May 28—Ross Cleneden and Paul Hawley’s 2009 Corked!, with the filmmakers and featured actor Jeffrey Weissman, with post-film conversation and wine tasting. What Rob Reiner did for metal music in Spinal Tap and Christopher Guest did for dog competitions in Best of Show , filmmakers Paul Hawley and Ross Clenenden have now done for the world of winemakers and their curious, comedic and sometimes compulsive ways. Filmed on location in Sonoma County, this engaging and often hilarious “mockumentary” follows four very different fictional wineries in Northern California, as they prepare for the prestigious Golden Cluster awards, a prize some of them will do anything to win. The film features a brilliant performance by actor Jeffrey Weissman (Pale Rider , The Twilight Zone: The Movie , Back to the Future II and III ) as a little-appreciated eccentric hellbent on turning a not-so-popular varietal into the next big thing. Thursdays, 7 p.m.; May 7-28. $12 ($8 for CFI members). Christopher B. Smith Rafael Film Center, 1118 Fourth St, San Rafael. rafael.cafilm.org. WIN TWO FREE PASSES TO THE MAY 7 SHOWING OF BOTTLE SHOCK AT THE SMITH RAFAEL THEATRE. What red wine placed first in the 1976 “Judgement of Paris” competition? Please tell us the winery, year and varietal to qualify for a random drawing for a pair of free passes. The deadline is Monday, May 4, no later than 6pm. One entry person. Please do not enter if you cannot attend. The winners will be drawn at random and notified by Tuesday, May 5. 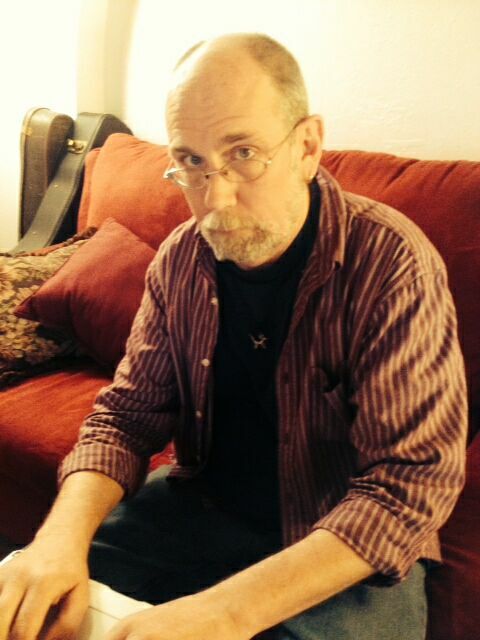 David Templeton has been a Bay Area journalist for over 15 years, writing for the North Bay Bohemian, Strings magazine, Pacific Sun, TBA magazine, and others. He is the author of the popular column Talking Pictures, his quest for the ultimate post-film conversation. He reviews theater as a member of the San Francisco Bay Area Theater Critics Circle, and talks about the theatrical arts in his weekly radio show Second Row Center, on KRCB 101.1 FM. His one-man play Wretch Like Me won the 2010 Stage One Theater Arts award for best original show. This entry was posted in Drink, Drink: Recipes, Drink: Wine, Drinks: Cocktails and Other Alcoholic, Films, Films: Festivals and tagged Drink, Films, wine, Wine Enthusiast. Bookmark the permalink. ← WIN TWO FREE PASSES TO THE MAY 7 SHOWING OF BOTTLE SHOCK AT THE SMITH RAFAEL THEATRE.